The US is currently in the midst of a major health care crisis. 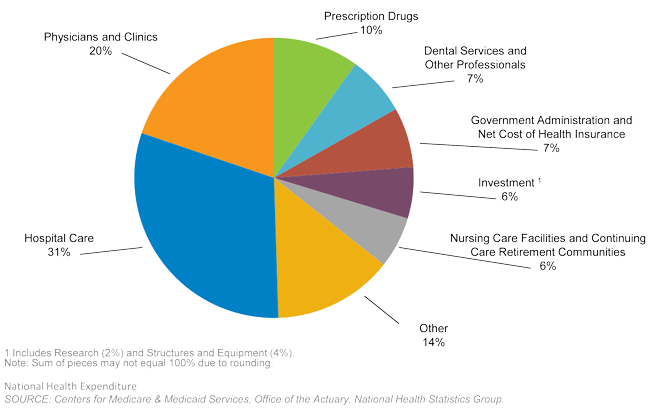 Health care costs in the U.S. average $7,538 per person per year. As medical care and treatments increase, so do accessibility and affordability of the coverage. Research indicates that having health insurance is closely tied with the quality and timeliness of care. A recent Harvard Medical School study demonstrated that people without health insurance had a 40% higher risk of death, compared with those who had some form of health coverage. Over 136 million people visit a hospital Emergency Room each year. This number translates into 45.1 visits per 100 people in the United States, which is about half of the population. Once a patient visits an Emergency Room, 17.1 million are actually admitted, with 2.2 million of those going to a Critical Care Unit of the hospital. Once admitted to the hospital, patients stay an average of 4.5 days, which costs around $17,500. This excludes the additional costs of surgeries, physician fees, any lab work, medications, etc. More than 60% of all bankruptcy filings in the US in 2007-08 were caused by illness and the cost of medical bills. The vast majority of those declaring bankruptcy were highly educated, middle-class families who owned their own homes. Almost 75% had health insurance, but the families were not adequately insured against a major accident or extended illness. It is estimated that more than 25 million Americans with insurance are currently under-insured. When you can offer your customers knowledge that is specific to their own health care situation, you can gain your clientsí trust and confidence and help them make the best decisions for themselves and their loved ones. Our team of experts at David A. Crotts can help you navigate the complex world of health insurance offerings so that you are always ready to provide your clients the right coverage at the right time. Contact us now for more information.